« February 1, 2005 – What makes a lady “foxy”? 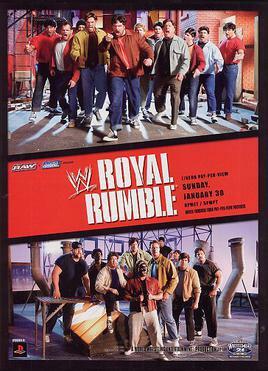 I ended up watching the 2005 Royal Rumble this evening – don’t ask how. The ending was bizarre, with both John Cena and Batista getting eliminated at the same time. Vince McMahon came out to order the match restarted, and managed to tear both of his quad muscles at the same time while getting into the ring. Vince has worked out for years and occasionally competed in matches. What are the odds of tearing not one but BOTH of his quads at the same time getting into the ring? I miss regularly watching pro-wrestling with my friends from home. It’s just not the same watching by myself while away. This entry was posted on February 2, 2015, 8:00 pm and is filed under Life in Japan. You can follow any responses to this entry through RSS 2.0. You can leave a response, or trackback from your own site.